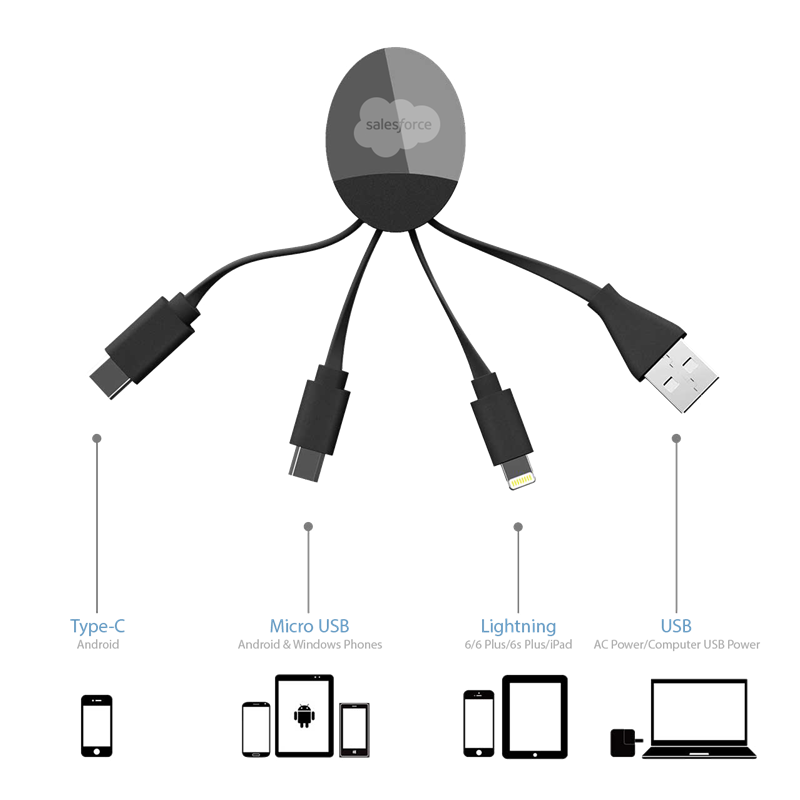 The iLo is a multicharging cable with a USB-C, Micro-USB and lightening adaptor. Compatable with iOS, Android and Windows devices. 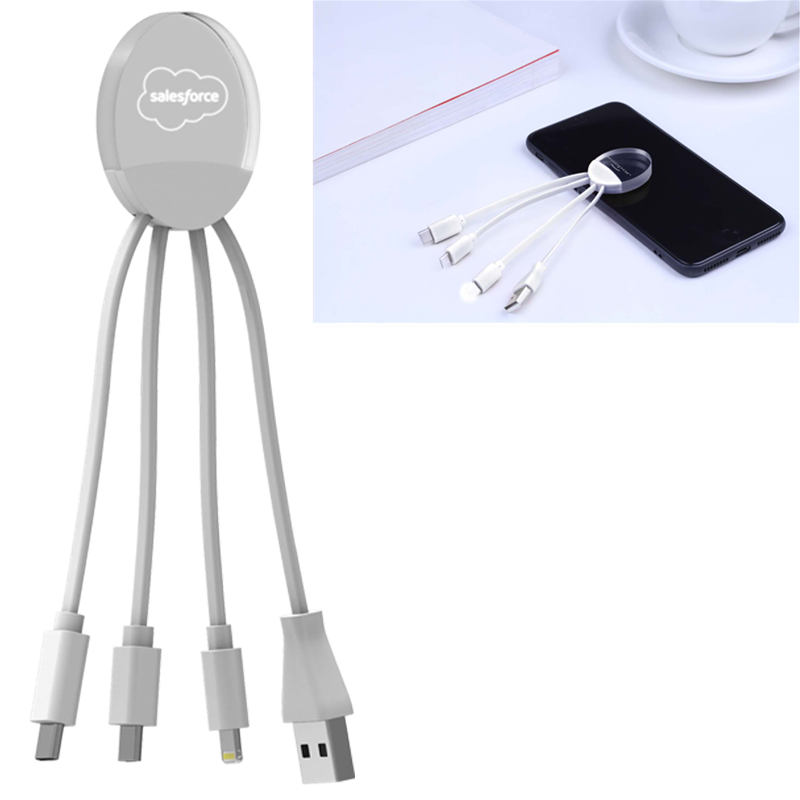 Made from high gloss acrylic and has a built-in LED light that shines bright with the Salesforce Cloud logo that is engraved inside it to indicate when it's charging.